Thirty four years ago today you departed from our material vision. 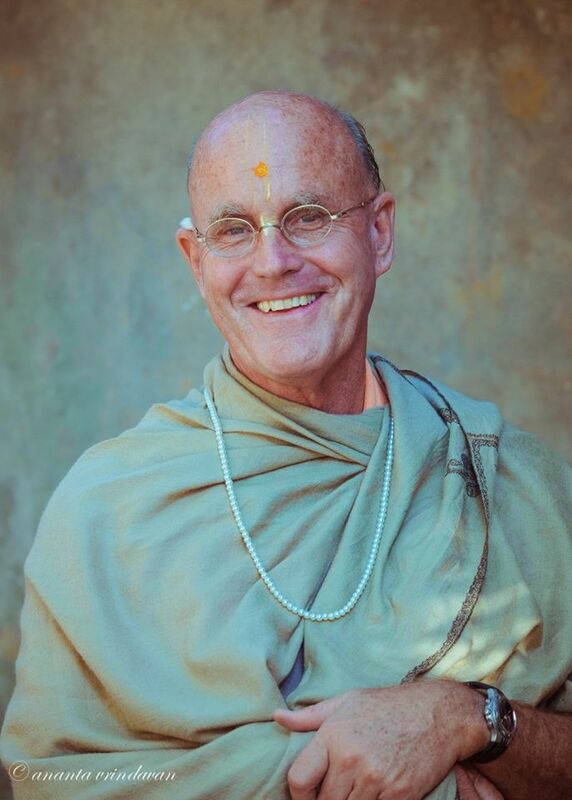 Although the departures of pure devotees are celebrated as glorious in the vaisnava tradition, I honestly have never felt this to be a day of festivities. Instead of celebrating, I feel more comfortable spending time alone remembering your pastimes amongst us and reflecting on my service to your divine mission. It was then that you made a statement that has become famous. Some moments passed; the only sound was soft chanting from some of the devotees. Then you began speaking again. When I heard Pita dasa relate this memory of you, I felt very happy because sometimes I do dream about you. Only a few nights ago, after a particularly wonderful public festival we held here in Brazil, I dreamed that you called me to your room. When I entered, you were lying on your bed about to take rest. You gestured towards your desk. “Please read my mail to me,” you said. On the desk was a small pile of aerogram letters from your disciples around the world. I opened the letters and began reading them aloud. Letter after letter related the success of your mission in different countries. One of them caught my attention. The devotee described the suffering of the people in the country in which he was preaching, how they were afflicted by poverty, hunger and civil war. As I read that letter to you I heard you make a sound. I looked up and I saw tears streaming down your cheeks. “Only Krsna consciousness will save them,” you said in a soft broken voice. Touched by your deep empathy for the fallen souls, I also began crying. I felt that by your mercy, you had allowed me to share your sentiments for a brief moment. I woke up and I was shocked to find my face wet with tears. Srila Prabhupada, that dream was very significant for me because it reconfirmed the importance of your mission. It helped me to understand that your compassion for the suffering people in this world is one of your very deep spiritual emotions. My dear spiritual master, although I have dedicated over forty years of my life to this mission, I am still an aspiring bhakta. Anyone can see that. I do not understand prema bhakti, love of God, nor do I know the intricacies of pure devotional service. But I do know something of your deep, unlimited compassion. I understand this compassion because I am a recipient of it. I also understand that you desire for others to experience it, and therefore I would like to continue delivering your compassion to the fallen souls for as long as I may live. As for deeper realizations, I am confident that by following your instruction to preach Krsna consciousness, you will be pleased and will bestow the secrets of devotional service to me. In a far distant corner of Vrindavan, in a place known as Badrinath, there is a large mysterious stone called Sugandhi-sila. It gives off a very beautiful, heavenly fragrance. My dear spiritual master, I pray that your mercy will transform my stone-like heart into something divine like that Sugandhi-sila. Then perhaps I too will cry tears of compassion as you did when hearing of the miseries of others; and like you I will go out to preach the divine command with unswerving determination. Srila Prabhupada, I am now old and thus my departure is also imminent. As you said, because of my age, there will be nothing to lament when the time comes. My only lamentation will be that your work in this world remains unfinished. Therefore I want you to know that I am prepared to take birth as many times as it takes to dry your tears of compassion for those bereft of Krsna’s mercy. Let me take birth in heaven or hell, or anywhere in between, for wherever I am, I am truly happy serving you.